I was lucky enough to catch word of this show on Big Al's list the morning of the event. This show has an interesting history going back to 1970! Maurice Devereaux and his '29 Stearns Knight Sedan met up with Tom Kaiser and his '36 Packard and seven other "classic" friends and had some eats and car talk. 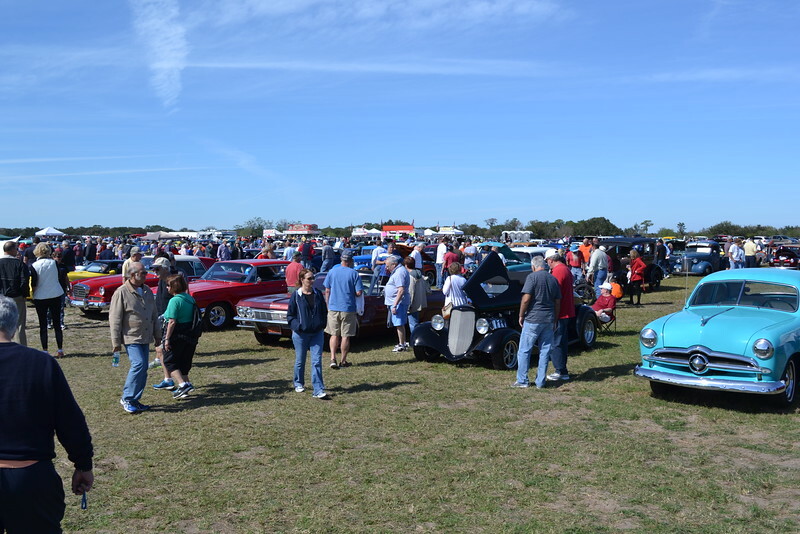 Over the next 40 years the show grew to include over 2500 Classics and Hot Rods of all kinds. It had judging in the beginning, but the complainers ruled and now it's strictly a non-judging event. It's a free show with vendors, a car corral and a few thousand spectators! It continues in the spirit of Maurice and Tom with the accent on informality and friendship within the Florida car-collecting community and beyond. With the passing of Maurice in 2009 and Tom in 2014, the show continues under the direction of the Sunshine Region of the Antique Automobile Club of America. I, for one, had a great time and met a bunch of really good people. Florida is a wonderful place in the winter!